Modular Surfskate Spot at Home. Surfskate with ONDAzero to Train Your Surf Maneuvers and Progress Easier and Faster at Home. Click this video to see ONDAzero in action. Many surfers struggle because they can't surf everyday, which is why we designed ONDAzero a surfskate wave so you can progress everyday everywhere. The module is complete with stainless steel structure and rubber feet. You can buy as much modules you need for your spot and expand it in the future. Whitezu ONDAzero optimize the training of surfers with surfskates. You will always have the right spot where to train surf maneuvers with your surfskate. Surfers who are stuck inland know that to keep their maneuvers perfect they need to practice everyday with surfskate. Surfers who train their surf technique everyday with the surfskate know that it will be easier and faster to make progress in the water. Imagine feeling great next time you go to surf. Practice every day at home. Try the same maneuver again and again. Quickly correct the execution of your surf maneuvers. Improve your muscle memory and reactivity. ONDAzero will help you to practice everyday with surfskate so you can catch more and better waves in the water. ONDAzero can be configured in different ways. Here you find the most common solutions and the main exercises that can be done with your ONDAzero and your surfskate. In this solution you will have 3 ONDAzero Surfskate Wave modules leaning against a wall. In this solution you will have 6 ONDAzero Surfskate Wave modules leaning against a wall. and Start to Setup Your Surfskate Spot at Home. 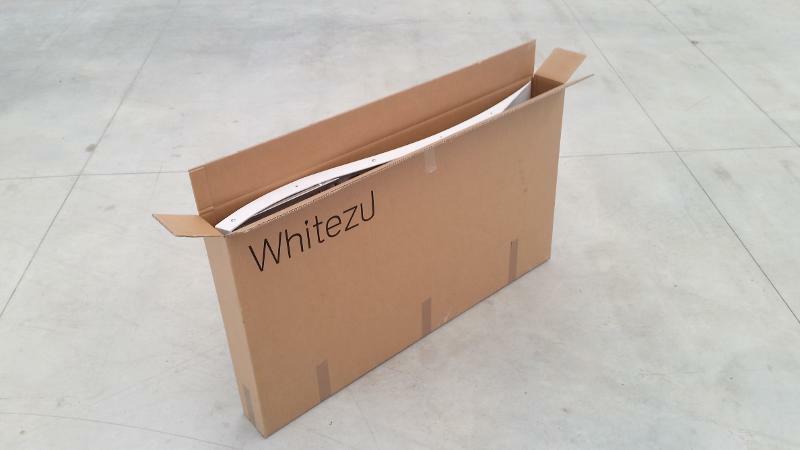 Subscribe to Whitezu Surfskate Wave newsletter to get our catalogue with prices in you inbox. This will open a new window with our mailing list subscribe form.